Submerge yourself in the waters of Amity Island and rack up the points by avoiding being taken down by other players and finishing the round with the top score! Use simple one-finger controls to dive in and compete against other players in short action-packed matches. 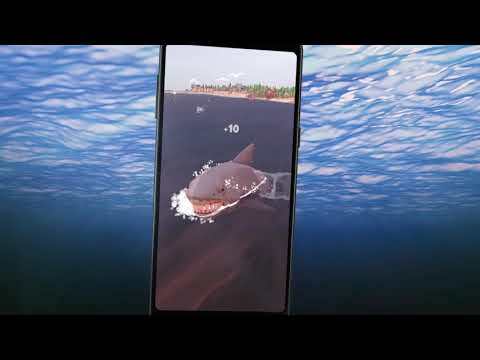 JAWS mode — Choose this mode and from the beginning to the end of the match, play as the infamous shark and devour your way to first place, while avoiding the boats who want you out of their waters. Compete with up to seven friends in a Local Game! By selecting this mode, you can use a unique code to open the waters to those you want to specifically compete against with a level playing field. Don’t be a chum with the basics — unlock new boats and shark skins with achievements! Before each round choose a custom skin and stand out from the other fish in the sea. The more achievements you unlock, the more skin options you’ll have. Jaws.io is regularly updated with new features, things to eat and save. This app also contains in-App Purchases which allow players to buy upgrades. This game contains advertising. Advertising is disabled by purchasing the ad-free version of the game. © 2019 Universal City Studios LLC. All Rights Reserved.